Who was your embarrassing early childhood crush? The Onion‘s A.V. Club has a fun piece called “Embarrassing Early Childhood Crushes”. The article mentions some great 1970s, ’80s and ’90s crushes, everyone from Six Million Dollar Man Lee Majors to Who’s the Boss‘s Alyssa Milano. In the interest of being totally open with you guys, I am going to attempt to recall my major crushes from kindergarten to adolescence, in order. This is no small feat, especially considering my sexuality in my formative years was, seemingly, all over the place. It’s interesting to note, too, that when you work in the media as an adult, you sometimes awkwardly cross paths with your former crushes. Peter Criss. Everyone in my neighborhood was a KISS freak and you had to pick a favorite so I picked Peter Criss. I don’t know that I had a crush on him, he was just the one I fixated on (and the one I pretended to be when my friends and I would “play” KISS). By 5th or 6th grade, all the little baby lesbians were getting their mandatory crush on Kristy McNichol, but I fell hard for Tatum O’Neal, her pre-cracked out co-star in Little Darlings. Ah, the Nick Rhodes years. I loved Duran Duran‘s resident girly man from grades 6-8. I met him, too, years later. We hugged. He was still beautiful. 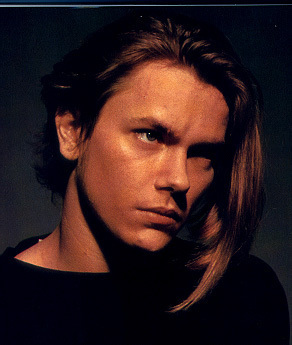 High school also brought one of my last hard-core boy crushes: River Phoenix. I liked River’s long hair and his veganism. I never spoke to him, but those of us involved in the music scene in St. Pete/Tampa got to see and play with his Gainesville band, Aleka’a Attic, quite a bit. I once danced on a dance floor next to River (the song was “Thank You (Falettinme Be Mice Elf Agin)” by Sly & The Family Stone) and another time I ate lunch next to him in a Gainesville vegetarian dive. 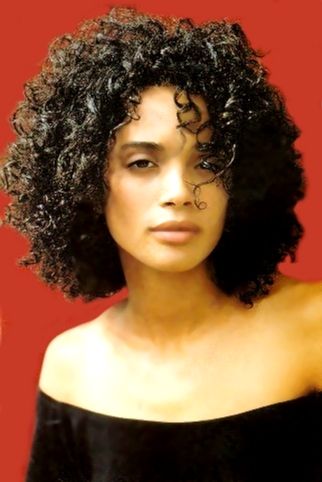 Also during high school: Lisa Bonet. I watched The Cosby Show just to look at her (and I was militantly anti-TV back then). I loved Lisa’s bohemian attitude and clothes. Okay, it’s your turn. It’s no fun unless you play, too. Name your crushes. Andy Gibb, Tom Selleck, Donny Osmond and Erik Estrada! I think I had a gay crush on Valerie Bertinelli, too! Like you, my first love was Shaun Cassidy. 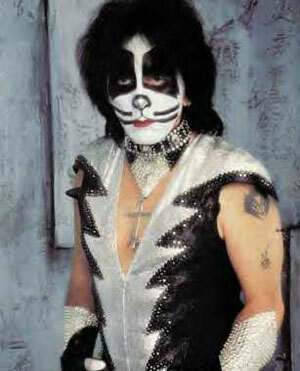 Second, Peter Criss – my first drummer, but certainly not my last. Next up, Billy Joel – my first Jewish boy, but certainly not my last. Matt Dillon – Tex, Dally and Rusty: The Holy Trinity of teenage heartthrob roles. 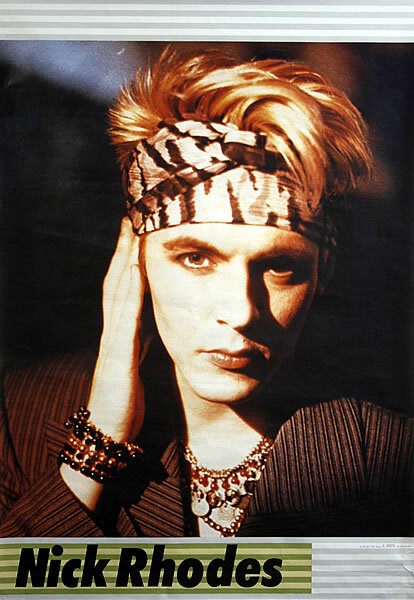 John Taylor – that man still makes me swoon. When I met him I couldn’t even speak. In high school it was Gary Oldman and Mickey Rourke – the sensitive tortured artist type. And Robert Smith – he made me believe that straight men wore eyeliner. How wrong I was. Wow. 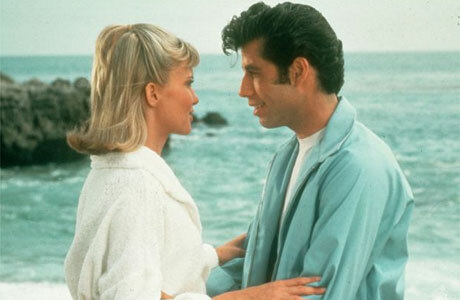 WeMy earliest crushes, though, were Bobby Sherman and Donny Osmond, but that’s because I’m older than you. My cousin had crushes on Shaun Cassidy, Leif Garrett, and the Bay City Rollers. But yeah… Lindsay Wagner, Olivia Newton-John (PHYSICAL and Xanadu), Kristy McNichol, Tatum O’Neal, Belinda Carlisle… Throw in Rita Coolidge (for a brief period), and Lucie Arnaz (The Jazz Singer). Ha! I was *always* Peter Criss when we played KISS. I didn’t really have a crush on Lisa Bonet, but DAMN she was hot in Angel Heart. I mentioned Demi Moore, right? Okay, good. 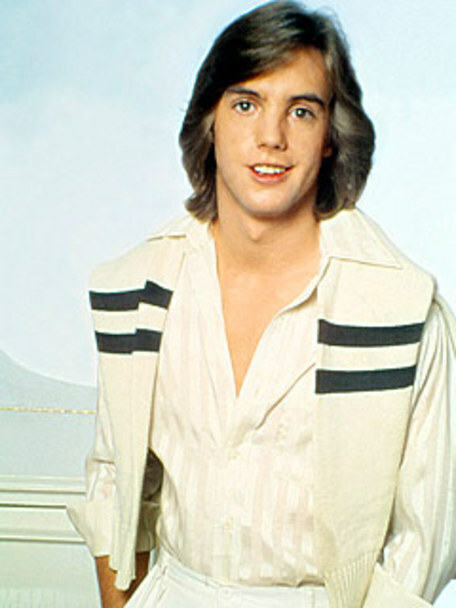 Shaun Cassidy is the earliest crush I can remember. I used to kiss my hand and pretend it was him. I thought Greg Brady during the Hawaii years was hot. Then it was Andy Taylor from Duran Duran. Because the boy in the shadows is always hotter than the one in the spotlight. Fred Astaire. But that isn’t that embarrassing, really. I just used to watch a lot of old movies. I remember Rock Hudson and Robert Reed (Mr. Brady) were my two biggest crushes when I was early teens…seriously. Wow! Guess the old gaydar was working at an early age! My gal pal crush was and always will be Brooke Shields. my first crush is so lame. Okay, since someone mentioned Fred Astaire, I went through a bit of a Norma Shearer phase. Really. I can’t believe I forgot my huge Dead Crush – James Dean! teen- James Dean, Anthony Perkins, Richard Chamberlain (yes, I was a teen girl in the 80’s with crushes on gay movie stars of the 50’s/60’s), John Cleese,(most anyone funny, smart, tall and British, for that matter) and (perhaps most embarrassing of all) an intense crush on Alan Thicke circa “Thicke of the Night”. Oy! 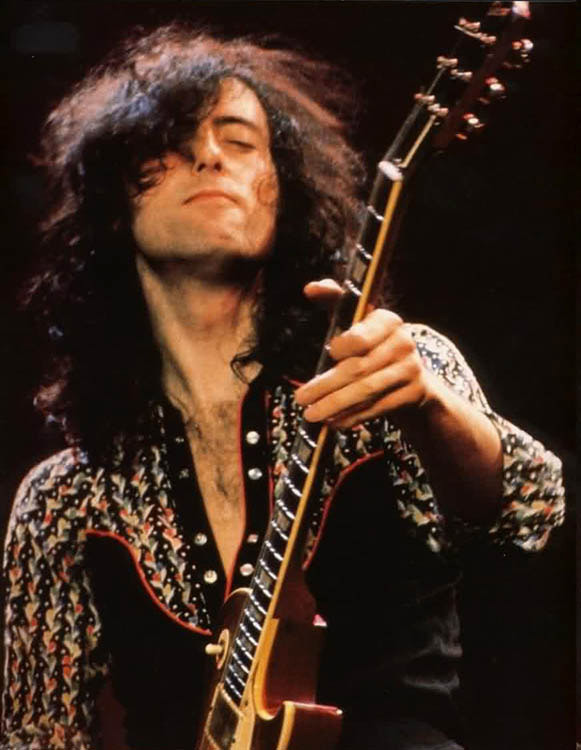 “Johnny’s had kind of a tough life so far, and he’s always been a bit of a freak. His goth look usually includes black nail polish and a little mascara.When he discovers Debbie Harry, the lead singer of Blondie, he not only likes her music but realizes that he kind of, sort of, wants to BE her. He’d like to be cool and tough and beautiful like her. He’d like to dress like her. He’s not gay, at least he doesn’t think so. So what does it mean? And what should he tell his amazing new girlfriend? By sixth grade they became complicated when it was abundantly clear that I was supposed to be out of my mind in love with the entire cast of the Outsiders. I tried to cultivate that love by plastering Tiger Beat posters all over my wall. C. Thomas Howell seemed the most likely candidate for real love, mostly because he struck me as a nice guy who would probably be my friend. At some point I got aggravated with all the boy posters and took them down–except for Flash and Superman. I had various crushes on female characters from Dr. Who and Star Trek in junior high, but the huge crushes from that era were Bruce Willis and Cybil Shepherd in Moonlighting, Cagney–yes, Cagney, and then Sigourney Weaver exploded into my life and it was all over from there. I was gone, over the moon for her from Alien on. And then there was the crush I had on you. But that was grown up and not embarrassing. Oh wait. Maybe it is embarrassing. Hmm. Cathy, I was thinking the same thing about our James Dean crushes. I had a life-sized poster of him on my bedroom door. I had the same poster!! I can’t believe only one person said Johnny Depp. What is this world coming to? I had that life-sized poster of James Dean too. It graced the door of my freshman college dorm room. I’ve had MANY crushes, but I don’t really know which one was my biggest! I was 8 years old in 1978 ~ and my very 1st crush on a TV Star was all the women on Charlie’s Angels, Then it was Adrienne Barbeau from ” John Carpenter’s 1980’s horror movie ~ THE FOG “.